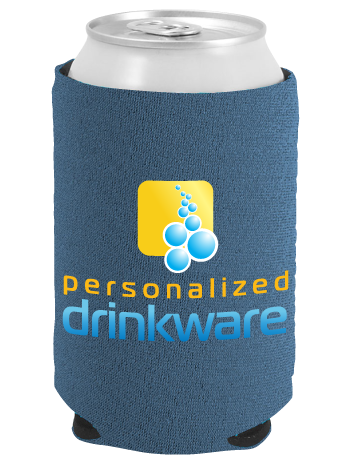 We at PersonalizedDrinkware.com are dedicated to protecting your privacy and personal information. At PersonalizedDrinkware.com all of your personal information is protected by our (SSL) encryption technology. This securely encrypts and protects all of your personal data including your name, address and credit card information so that it can't be read by anyone over the internet. We value your trust very highly, and we will work to ensure that your personal information that you provide us will be fully secured and protected. YOU MUST ACCEPT THIS TERMS OF SERVICE AGREEMENT BEFORE ACCESSING OR OTHERWISE USING THE SERVICES. BY ACCESSING OR USING THE SERVICES, YOU AGREE TO BE BOUND BY THE TERMS AND CONDITIONS OF THIS AGREEMENT. Blank Items- You can return your blank items within 15 days if there are any problems with your items (color, material, etc). · We shipped you the wrong item no. · A deadline that was promised was not met due to powers in our control. Canceling or Changing Artwork Policy - After an order is placed you will have an opportunity to approve you artwork one final time before your artwork enters production. Once you approve your artwork and the order enters production our team will work on it immediately. Order Placed Online - You may cancel for no charge at any time. Artwork Approved - After you approve your artwork you may change your artwork for a $38 fee. Once Production Begins - You may cancel your order for a $38 fee up until the very first item is printed. Item Gets Printed - Once the first item gets printed you may cancel your order but you will ONLY be refunded shipping costs. Not other costs will be refunded. Item will be destroyed. Item Ships - Once the item ships you can NOT cancel your order for any refund. If delivery is refused you will NOT be refunded at all. Some items require a setup fee. If the setup fee is removed from the shopping cart we will assume that you want BLANK ITEMS without imprint at all. We try our best to notify customers when they order blank items to make 100% certain. Minimum ordering quantities per item are listed for each item on our website. Failure to order the minimum order quantity we result in a $50 fee. For example - if the minimum # of a specific item you want to order is 50 pieces. You can order 40 pieces but a $50 fee will be charged. When you place an order and send us your custom artwork we assume without doubt that you have rights to print that artwork. If you do not have rights to print the artwork do not send the artwork to us to print on your item. Any artwork that you send us may have to be manipulated to a 1 color piece of artwork. Any manipulations made to artwork are made as a requirement for us to print. We only manipulate artwork that is provided to us. We often use your artwork, virtual proofs and designs as samples on our web site. Once online it can be used as inspiration for other customers and designs. If you wish for your unique design to not be used please notify us. Each computer monitor and printer is calibrated differently and colors will certainly vary from computer screen to computer screen. PersonalizedDrinkware.com offers free samples of our color swatches that can be mailed to you so that you can see a physical sample of the color prior to ordering. If your items need to be a perfect match to any particular color we strongly suggest and advise you to order a physical color sample prior to placing your order. No refunds will be made for variations of online colors and physical products. Customers have an option to split their product color for 1/2 of their order or to pay a fee and use a different ink color for part of their order. When this is requested we cannot guarantee exact counts. For example you may order 200 pieces and want 100 blue and 100 white. When you receive your order you may get 95 blue and 105 white. If it is required that you have exact counts we can do that for an additional $25 fee. Sales tax is charged on all products and orders shipping to NJ. Actual tax amount is applied at the state level when placing your order, and may vary depending on the county your product is shipping to. Any package that has not been received by us and tracking information cannot be provided, will be the sole responsibility of the shipper. Once an order has been shipped and there is a delivery confirmation, PersonalizedDrinkware.com is not responsible for any theft of product or delivery to the wrong address. You must notify us within 15 days if order is not received. Free shipping is only valid to the Contiguous United States. The term excludes the non-contiguous states of Alaska and Hawaii, and all off-shore U.S. territories and possessions, which include American Samoa, Guam, the Northern Mariana Islands, Puerto Rico, and the United States Virgin Islands. Additional surcharges will be applicable for any shipping to the non-contiguous states. From time to time we will ship a product on-time and UPS will not be able to deliver your product on time due to "acts of god". UPS shall not be liable for any interruption of delivery service due to a cause beyond its control, including but not limited to, the absence of a person or the refusal of such person of accepting the delivery of the shipment, demure due to the consignee, force majure, action of the public authorities with real or apparent authority over the facilities, action or omissions of the public customs authorities or the like, riots, strikes, or other labor disputes, public disturbances, factors that disrupts the air and ground transportation systems such as weather conditions and natural disasters, and an act of God. Subsequently, from time to time, if we are not able to fulfill your order, you will be notified via email for any item that is temporarily out of stock or simply cannot be fulfilled. An immediate credit will be issued to your credit card or any other method of payment that you choose. All orders are shipped, on average, within 5 days from the time your order is placed. On average you should expect to receive your order within 6-11 business days from the time that you place your order. Private Information Security - For your safety and protection, your credit card information is not stored on our servers. Our payment gateway provider, Authorize.NET & First Data Merchant Services, keeps this information encrypted and secure on your behalf. Email Usage - The email address you provide for order processing, may be used to send you information and updates pertaining to your order, in addition to periodic company news, updates, and/or related product or service information, etc. You hereby release PersonalizedDrinkware.com (and our officers, directors, members, managers, employees, agents and affiliates) from claims, demands and damages (actual and consequential) of every kind and nature, known and unknown, suspected and unsuspected, disclosed and undisclosed, arising out of or in any way connected with any dispute with our products or services.